All levels of government are now coming to the table to fund transit. However, their current proposals are not adequate, sustainable, affordable or in the public interest. 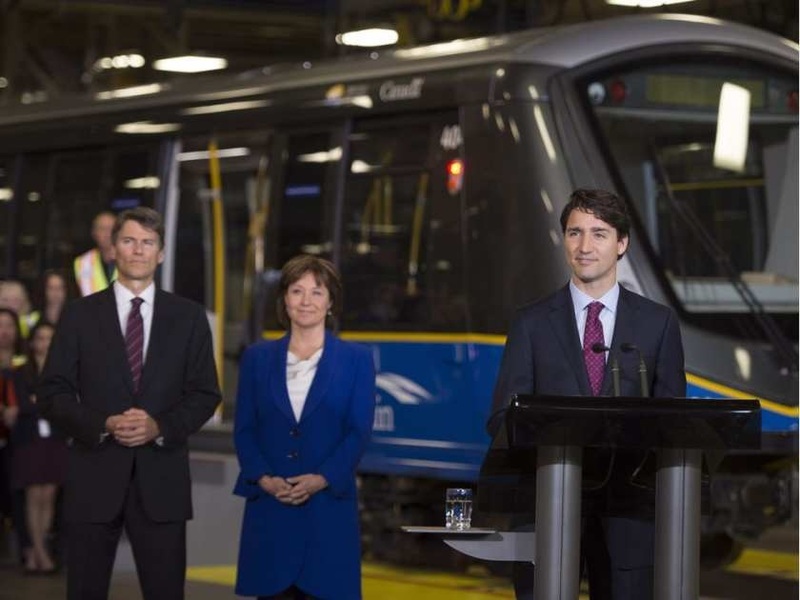 The federal Liberal government is rolling out its infrastructure spending commitments, but recent announcements on transit funding in B.C. with Prime Minister Justin Trudeau, Premier Christy Clark and Vancouver Mayor Gregor Robertson seem premature. The budgets, sources of funds and final plans have yet to be confirmed, and many proposals are problematic, including related development deals. The proposed funding is being spun as a “down payment” on the Vancouver region’s $7.5-billion wish list. Phase 1 breaks down as $370 million federal, $246 million provincial and $125 million from unidentified regional public land sales. We are effectively selling the farm to buy a fancy car. Current estimates are out of date, so final budgets will be significantly higher. 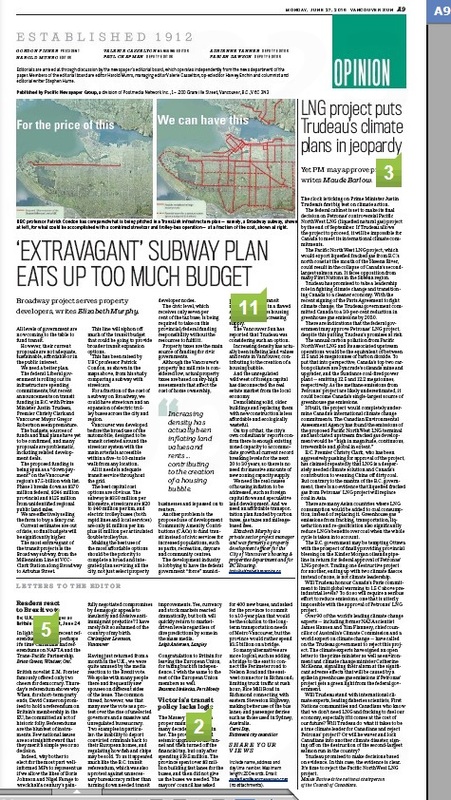 The most extravagant of the transit projects is the Broadway subway, from the Millennium Line at VCC-Clark Station along Broadway to Arbutus Street. This line will siphon off much of the transit budget that could be going to provide broader transit expansion options. 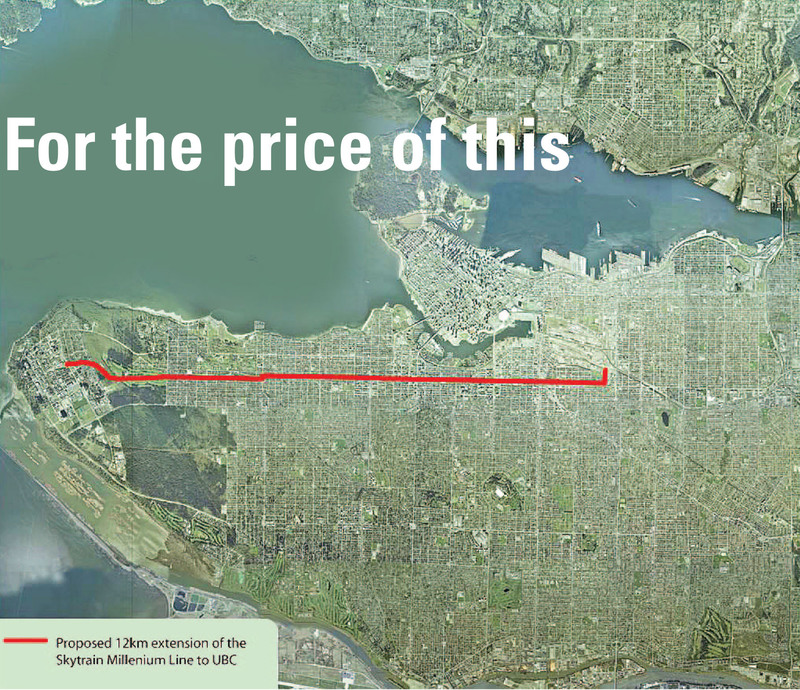 This has been raised by UBC Professor Patrick Condon, as shown in the accompanying maps, from his study comparing a subway with streetcars. For a fraction of the cost of a subway on Broadway, we could have streetcars and an expansion of electric trolley buses across the city and region. … for what could be accomplished if we envisioned a combined streetcar and trolley-bus operation — at a fraction of the cost. Vancouver was developed before the broad use of the automobile, designed to be transit oriented around the streetcar system with the main arterials accessible within a five- to 10-minute walk from any location. All it needs is adequate transit service throughout the grid. The best capital cost options are obvious. The subway is $350 million per kilometre, streetcars are $20 to $40 million per km, and electric trolley buses (both rapid lines and local services) are only $1 million per km plus $1 million per articulated double trolley bus. Making the best use of the most affordable options should be the priority to complete a broad and integrated plan servicing all the city, not just select property developer nodes. The federal government has committed to 50 per cent of the entire project. To get that federal funding, the provincial and regional commitments also need to be for the whole project. So far that has many gaps and questionable options. The civic level, which receives only seven per cent of the tax base, is being required to take on this provincial/federal funding responsibility without the resources to fulfill it. Property taxes are the main source of funding for civic governments. Although the Vancouver’s property tax mill rate is considered low, actual property taxes are based on sky-high assessments that affect the cost of homeownership, businesses and is passed on to renters. Another problem is the proposed use of development Community Amenity Contributions (CAC’s) to fund transit instead of civic services for increased populations, such as parks, recreation, daycare and community centres. The development industry is lobbying to have the federal government “force” municipalities who get transit money to densify in a flawed attempt to address housing affordability by increasing supply. The Vancouver Sun has reported that Trudeau was considering such an option. Increasing density has actually been inflating land values and rents in Vancouver, contributing to the creation of a housing bubble. And the unregulated wild west of foreign capital has disconnected the real estate market from the local economy. Demolishing solid, older buildings and replacing them with new construction is less affordable and ecologically wasteful. On top of that, the city’s own consultants’ reports confirm there is enough existing zoned capacity to accommodate growth at current record breaking levels for the next 20 to 30 years, so there is no need for massive amounts of new zoning capacity supply. We need the real causes of housing inflation to be addressed, such as foreign capital flows and speculative land development. And we need an affordable transportation plan funded by carbon taxes, gas taxes and mileage-based fees. 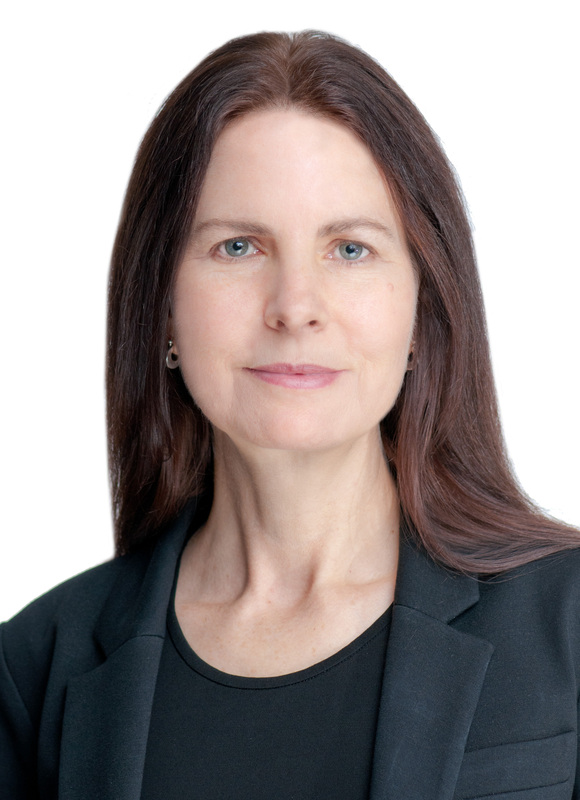 Elizabeth Murphy is a private sector project manager and was formerly a property development officer for the City of Vancouver’s housing & properties department and for BC Housing. Thank you, Elizabeth Murphy and Patrick Condon. A subway down Broadway has always struck me as a colossal mistake. In addition to the obvious cost differential between a tunnel and grade-level system, other benefits come with an above-ground solution. Tunnel proponents say merchants on Broadway would welcome the tunnel because it is “less disruptive.” My experience with the amazing grade-level system during a month in Strasbourg, France (a system built by Bombardier, no less) trumps the tunnel arguments. Riding above ground is more pleasant than riding in the Canada Line tunnel from downtown to Marine Drive. And if I were a merchant, I would see more benefit in having my storefront and brand visible to commuters passing by than have it invisible to people in a tunnel beneath the street. Often we visited a shop or restaurant travelling in Strasbourg that we saw on transit. 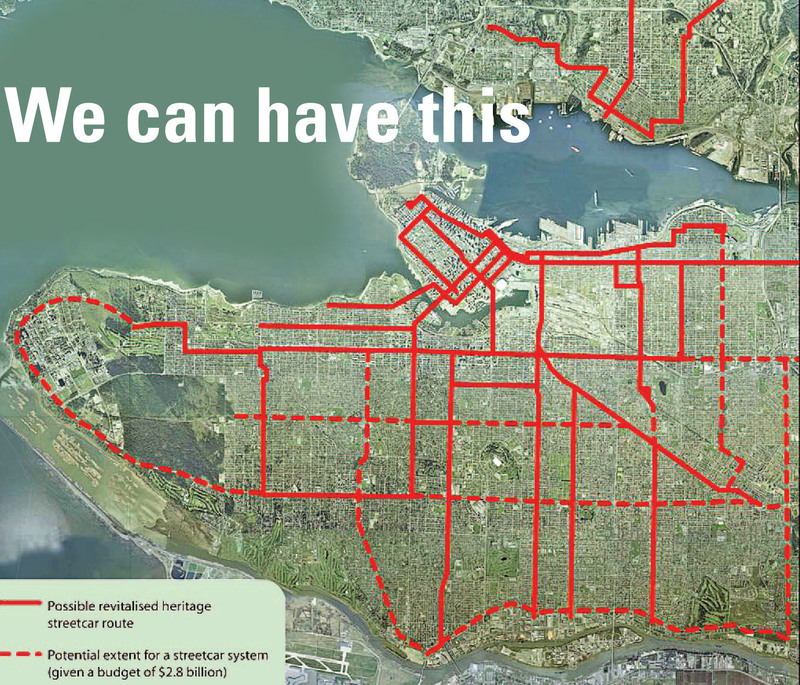 Let’s revise our plan for the cost benefits and so we can have a more usable transit grid. I grew up in the 1950s with the trams and street cars that were removed by the B.C. government and city council to make way for cars. It was a very efficient way to move around the city and, in fact, all the way to Chilliwack. I have visited various European cities that use a mix of streetcars and buses very effectively, even in their narrow streets. Surface transport is much more people friendly. Linking the traffic lights via GPS to transit vehicles would make the entire public system even more efficient. This entry was posted in Elizabeth Murphy, Vancouver Sun and tagged Affordable Housing, Community Plans, Elizabeth Murphy, Heritage, Transit, Vancouver. Bookmark the permalink.